We watched the documentary Good Hair in class last week and I was disturbed by some of the facts presented about the Black hair culture. Good Hair shows clearly how Black children are indoctrinated at a very young age to believe their hair is inherently “bad” and “white hair” is good. This is because White beauty as the ideal beauty is embedded in society. 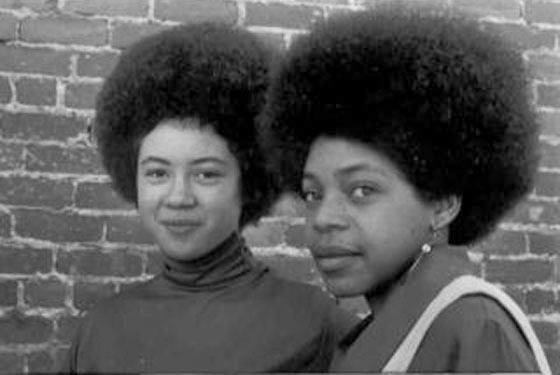 Bellinger further says how, in the the 1990s, the Black afro turned into a symbol of lower-class for women and that Black hair became representative of social status. Bellinger’s study concluded with two reasons why Black women strive to attain “good hair.” The first was that “that additional incentive to alter their hair might be the ability to give a better impression of having Caucasian hair, therefore giving one better opportunities for new jobs or promotions.” The other side is that “good hair” is simply more manageable and convenient, a sentiment held by younger generations. Is it worth the pain? Or the money? (A perm can go up to as much as 1,000 dollars). To the women who believe that having silky, straighter hair is a matter of convenience, perhaps it is. These women are exercising autonomy and that is perfectly fine. But the use of relaxers, a hair product high in pH and one of the primary products Black women and men use to straighten their hair, is dangerous. Our media images of THE beautiful woman is questionable and so old hat in our diverse society (especially in the US). One woman’s supposed “bad hair” is another woman’s “good hair.” Striving to be that archetypal woman is, as I have shown, dangerous not only psychologically but physically, as well. This entry was posted in Uncategorized and tagged black hair culture, identity, relaxer.